Shrimp on crinoid. Ambon crinoid shrimp (Laomenes amboinensis, centre) on a crinoid (featherstar, class Crinoidea). 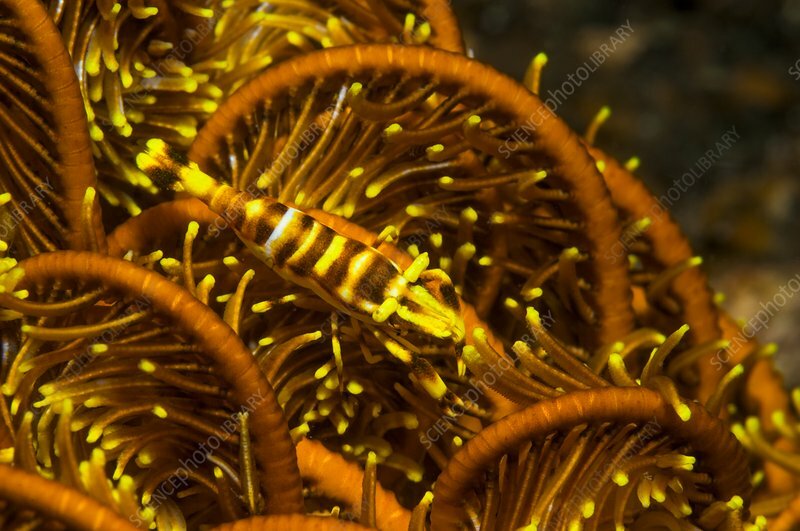 Photographed in the Lembeh Strait, North Sulawesi, Indonesia.